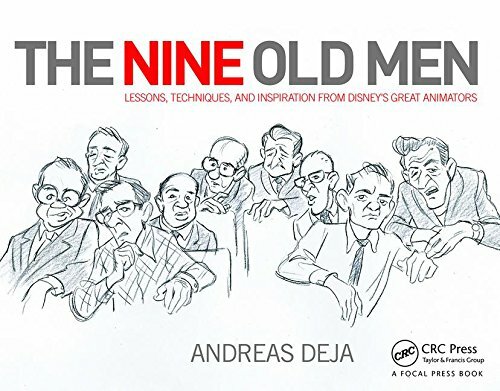 Ken Andeson has a huge fan base (and deservedly so). My 2012 blog post featuring some of his character designs for Robin Hood is BY FAR the most visited during my 5+ years of blogging. Here is another photo of Ken in front of some of his many concept sketches for the film. To the upper right of his head you see a sheet with head studies of the rooster Allan-a-Dale. 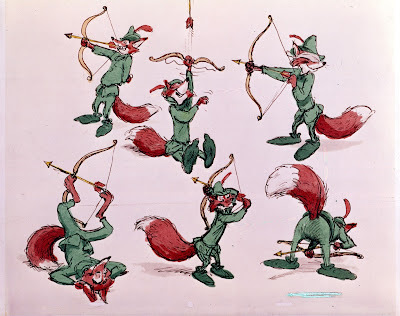 Those are by Milt Kahl. 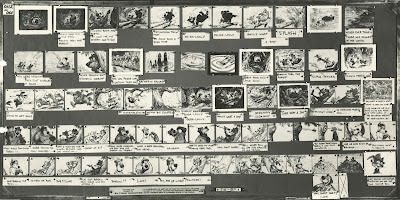 Ken also storyboarded several sequences for Robin Hood. Below is Sequence 1. It's astounding to realize how close the animators stayed with Ken's poses and staging. 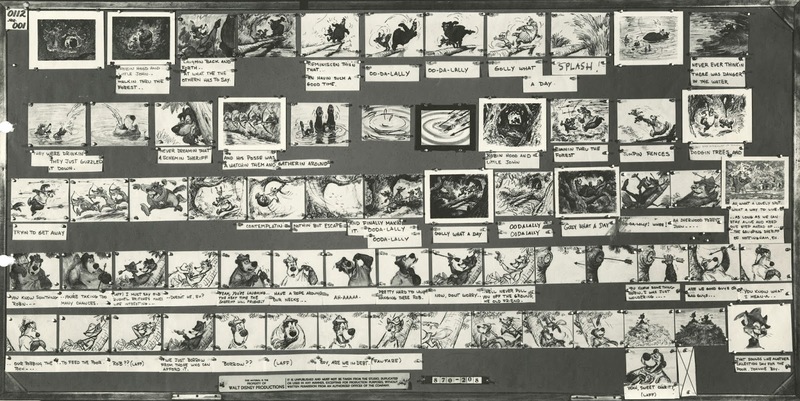 This section of the film was animated by John Lounsbery (Wolves and Sheriff, also Robin and Little John walking toward camera, then falling into the water), Ollie Johnston (most of L. John) and Milt Kahl (Robin and some of L. John). Milt decided to have Robin Hood stand up during his opening dialogue scenes, instead of sitting down. 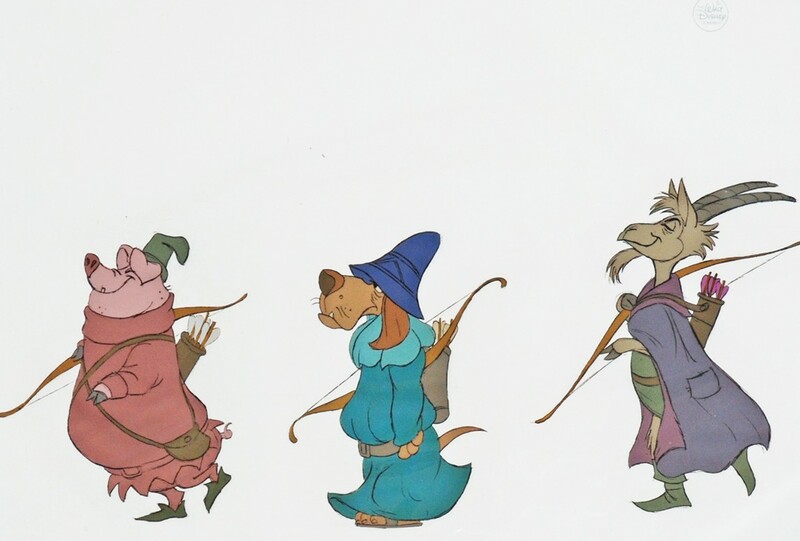 I posted a B&W version of this model sheet before, here is the color version. 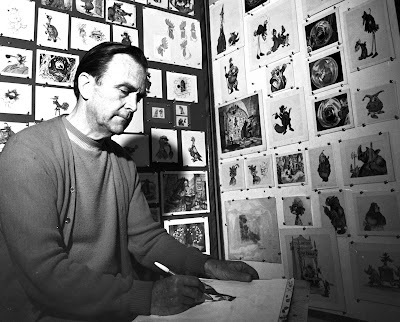 And this is what you get when combining the talents of Ken Anderson and Milt Kahl. Even miscellaneous characters turn out looking fantastic.